Get a great gaming monitor for its best Amazon UK price ever today. Acer's 27-inch monitor, the XB271HU, is at its lowest price ever for Amazon Prime Day, at £439.99. This is down from an RRP of £700, and a previous price of £529.97. It boasts a 2560x1440 resolution and 144Hz refresh rate, and you can pick it up here. The XB271HU is built for fast-paced gaming, with a 1ms response time, and it's possible to overclock the refresh rate up to 165Hz. For graphics cards with G-Sync capabilities, it supports that too. 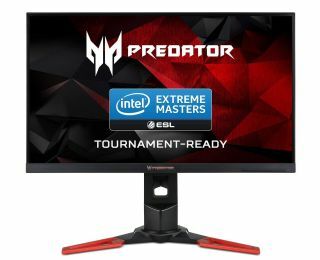 This year, the monitor has been hovering around the £500-£550 price point, so if you've been waiting a while to pick up a 1440p monitor, this seems like a great opportunity.